Back to School! 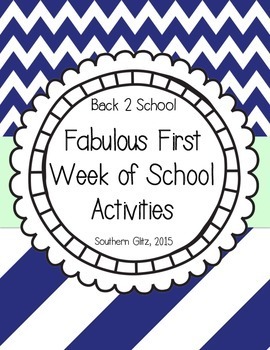 Hit off the first week of school with these engaging activities. This set includes five different activities (one for each day of the week) to help break the ice amongst your new students. 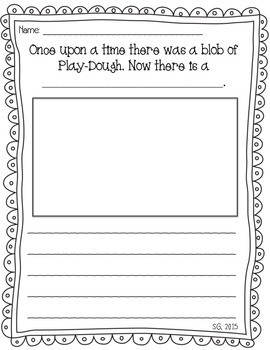 -PlayDough Activity -- Students will create an animal (or a topic of your choice) and write and draw about it. 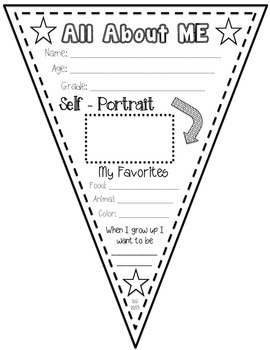 - All About Me Pennant -- Students will complete a pennant telling all about themselves including their name, age, grade, some of their favorites, and what they want to be when they grow up. This is a great way for the students to learn about one another and hang up in the classroom for open house or your first parent teacher conferences! 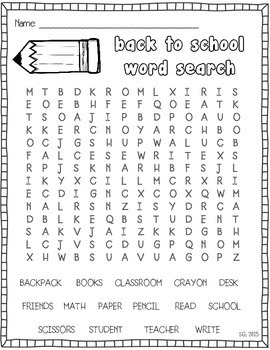 -Back to School Word Search -- Students will search for common words they can find in a classroom. - My New Friend Activity -- Every year students are making new friends at school. This activity allows the students to interview their new friends and find out just what they love the most! I hope your students enjoy these fun and engaging activities as much as mine! The best thing about these activities is that they are independent enough for the students to work on and provide you a few minutes to put away their new supplies or check transportation changes. Happy Back to School!